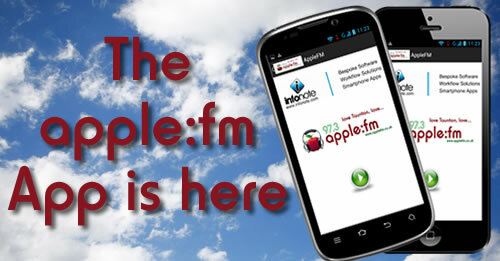 HomeApple FM NewsThe Apple FM iPhone & iPad App is now here!! The Apple FM iPhone & iPad App is now here!! We are VERY proud to announce our very own App for the Apple iPhone & iPad has finally been released! With Live Streaming, Request Forwarding and Competition Entry all included, you are sure not to miss out. The app also contains local news headlines which are updated throughout the day via Apple FM’s Twitter feed.